Baccarat is a mysterious casino game that is reserved for the most sophisticated, the James Bond types. Thanks to online casino gaming this is no longer true. The game is one of the most exciting casino table games that players can enjoy at any of the top casinos in South Africa. Today anyone can learn to play the game and become start winning. As long as they do not let the fancy names and terms overwhelm them. The game has versions with names like a Punto Bunco, Chemin de Fer and Baccarat Banque. This game is believed to have originated from Italy where Baccarat means Zero. When the game got to France that’s is where the versions of the game become popular. 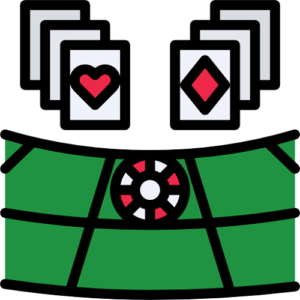 Punto Banco is the most common version in casinos worldwide. This is because it is the version that was played by the lower class. Therefore it quickly spread to other areas starting with England. This version does not require the use of strategy. It is purely a game of chance. The other two versions are less popular because they were played by the aristocrats. Chemin de Fer and Baccarat Banque can be influenced by the way that players play. Therefore it is possible to use a strategy in these games. Baccarat is commonly described as another type of blackjack. Playing the game online is more fun especially for newbies. This is because the online baccarat plays just like the traditional game while offering complete control of the gaming environment. There is no pressure to move because you are the only player. And players can adjust the speed at which the game plays. The game is so simple that you will be kicking yourself for not trying this game earlier. This is one of the games that have a low casino edge, therefore, prepare for regular wins when playing this game. You will not need to even get some fancy Secret agent training to master the game. There are only three outcomes in the game. Either the dealer wins, the player wins or there is a draw. The objective of the game is to have a hand as close to 9 as possible. Unlike blackjack when playing baccarat all picture cards have a value of zero. All other cards are valued according to the pip number displayed except for the 10’s which also has a value of 0. Most of the game is out of the player’s hands. This means the player cannot strategise. To start the game a wager is placed. Players can bet on the banker or the player winning and on a draw. Draws are the most likely not to occur so the odds are 8:1. Betting on the banker has a payout of 95% the original bet and odds for betting on the player is 1:1. 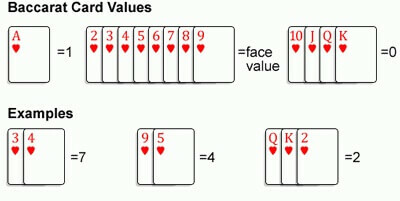 When cards are dealt the hand value is determined by the sum of card values and taking the figure on the furthest right. Getting an 8 or 9 is known as a natural which is a win. Getting zero is called Baccarat. This is the worst hand value. Playing this game more often will improve your knowledge of the game.